​I create YouTube videos that involve: jet engines, cars, computer builds, drones, 3D printing and more. It is a mixture of personal build logs as well as DIY tutorials. I hope you find my website and YouTube channel interesting and useful. If you enjoy my work, please support me by subscribing to my channel. ﻿Built from off the shelf parts for RC planes and cars It has a range of over 6 miles and can achieve speeds of 26mph! 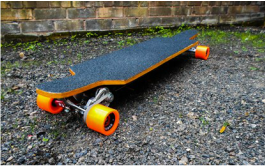 All at a fraction of the price of a leading e-board manufacturer﻿. The Bitfenix Shinobi wasn't a case designed for water cooling. 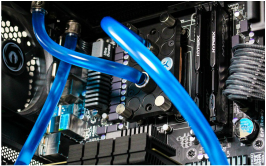 Here I install a loop using EK products making some modifications in the process. 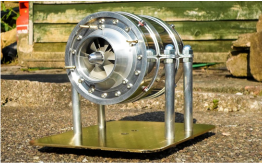 This is a centrifugal flow turbine engine measuring just 112mm in diameter. It runs on kerosene fuel and can achieve a thrust of 75 newtons!